Our program offers exposure to more than 3,900 otolaryngology operative procedures per year alongside fellowship-trained faculty. The Texas A&M Health Science Center College of Medicine - Scott & White Otolaryngology Residency is fully accredited by the Accreditation Council for Graduate Medical Education (ACGME). We are proud of the well-rounded experience our residents receive in all aspects of otolaryngology. Our high faculty-to-resident ratio provides close mentoring and early hands-on experience in the clinic, hospital and operative settings. The first year of training consists of one-month rotations, including six months of otolaryngology. The first year is very hands-on and provides substantial experience in managing surgical patients in the outpatient and hospital settings. 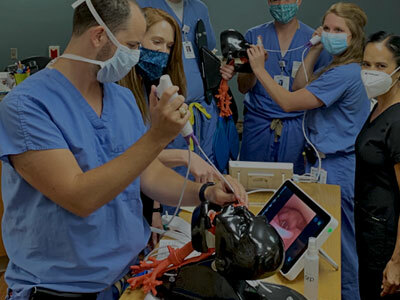 The final four years of training are focused on developing the skills necessary to become an independently practicing general otolaryngologist. Each year is divided into subject based rotations to allow for a focused experience in the subspecialties of otolaryngology. Our two-month, subject-based rotations are designed to allow for continuity of care where residents will participate in the evaluation, diagnosis and management of otolaryngologic disease in the outpatient and inpatient settings. Residents rotate through Scott & White Medical Center, Baylor Scott & White McLane Children’s Medical Center – Temple and the Central Texas VA Center. Early hands-on experience in the PGY-1 year allows for our residents’ accelerated autonomy in clinical management and in the operating room with appropriate supervision. Our faculty’s expertise spans the breadth of otolaryngology. In addition, the resident’s clinical experience will be augmented by interactions with outside faculty members from neurosurgery, plastic surgery, endocrine surgery, oral-maxillofacial surgery, pathology, neuroradiology and radiation oncology. 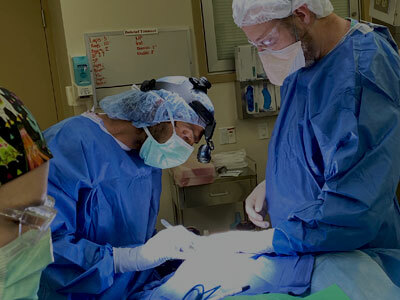 Our residents and faculty actively participate in several multispecialty teams, including Head and Neck Tumor Board, Neurosurgical Tumor Board, Cleft Palate Team and Cochlear Implant Team. Education is enhanced with weekly conferences that include faculty and resident led didactics, simulation labs, anatomy dissection labs, journal club, M&M, case studies and oral board preparation. Our residents routinely attend national meetings, like the Combined Otolaryngology Spring Meeting, to present posters. Our residents participated in a Resident Quiz Bowl during the Texas Medical Association meeting held in May in Austin, Texas. The Dept. of Surgery holds “bootcamp” for incoming surgical residents to expand knowledge of surgical techniques and general information.